These are our most commonly provided services. If you have a need that is not listed, please don't hesitate to contact us. If we can't help you, we'll find someone who can! Whether you have an old system in need of repair, or require a system for new construction, we possess the expertise to complete your project. There are several factors that determine the type, size, and cost of a system: soil, lot size, and house square footage. Systems available: Gravity, Low Pressure Dose (LPD), Aerobic Drip, Aerobic Spray. We are equipped for jobs of all sizes, from sidewalks to golf courses. 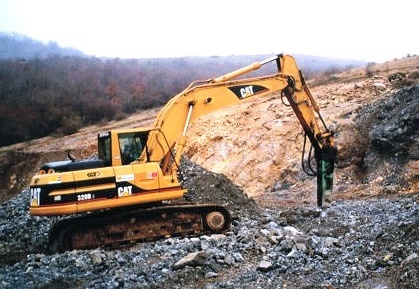 We can provide construction entrances, tree protection, erosion control, along with slab prep, detention and retention ponds, driveway prep, stock tanks, and hill terracing. Lot clearing services include brush and tree removal, shredding/mowing, chipping/mulching, hand clearing, and stump disposal. Services available by the hour, day, or job. From a 10 foot water line to a 1000 foot electrical line, we can accommodate your needs. We provide water, sewer, electrical, phone, and cable line services. We can trench only, or trench, install the pipe, and fill the trench. We also install pull boxes and pedestals in the City of Austin and PEC jurisdictions. Services available by the foot or by the job. Retaining walls can be complicated and, if not properly designed and built, can become a nightmare. We can evaluate your site and design not only a functional retaining wall, but one that is also aesthetically pleasing using natural boulder or cut stone. We can install footings to provide a stable foundation, french drains to control water behind the wall, and run-off control to establish positive drainage. Services available by the square foot or job. Knowing who to trust in times of crisis can be difficult and stressful. We offer a professional approach built on honesty and integrity to help you begin the rebuilding process. We will inspect your property and give you a written proposal itemizing the work that needs to be done, including cost and a schedule of completion. We will work with both FEMA and your insurance company during the recovery process. Small residential & commercial project services include: site inspection, land & structure clearing, debris removal, site clean-up & hauling. Available with an operator only - unavailable for rent. Commonly called a "bobcat". 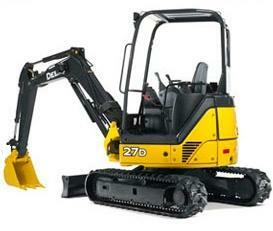 Used for moving small amounts of dirt and working in confined spaces. 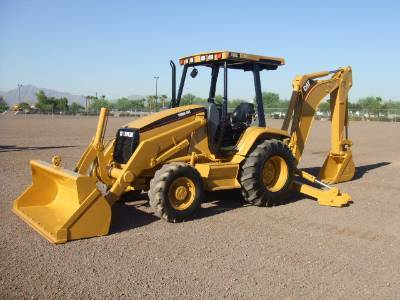 Used for digging trenches, leveling areas, and loading trucks. 2-wheel and 4-wheel drive available. All of our backhoes are equipped with hoe rams (rock breaker). 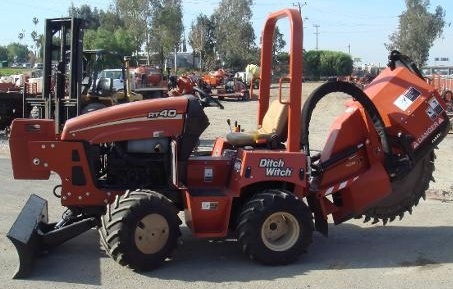 Used for clearing brush, building stock tanks, and excavation. Designed for use in rough or sloped terrain. Used for trenching and rock cutting. Several sizes available. 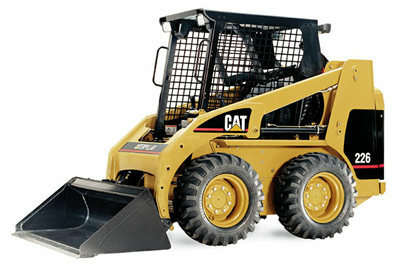 A combination of a skid steer and a backhoe. 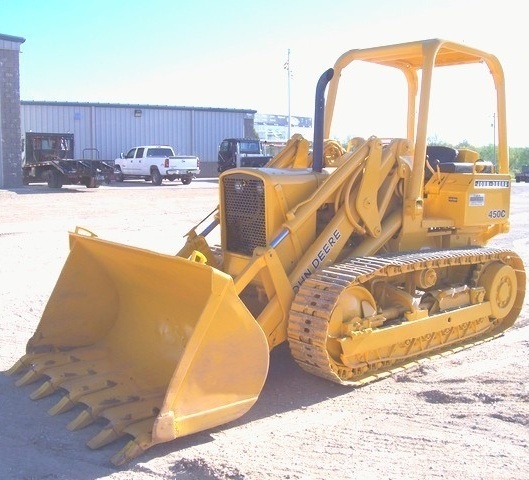 Used for trenching and leveling where space is limited. Weighing in at 25 tons, this machine is used for big jobs. Hammer available. Let us put our equipment to work for you. Contact us today for more information.